Maribel Martinez arranged for her 5-year-old son, Andy, to fly home to New York unaccompanied on JetBlue on Aug. 17. But when she went to pick him up at Kennedy International Airport, she got the shock of her life. Airline employees presented her with a boy who was clutching Andy’s passport and luggage. But he was not her child. 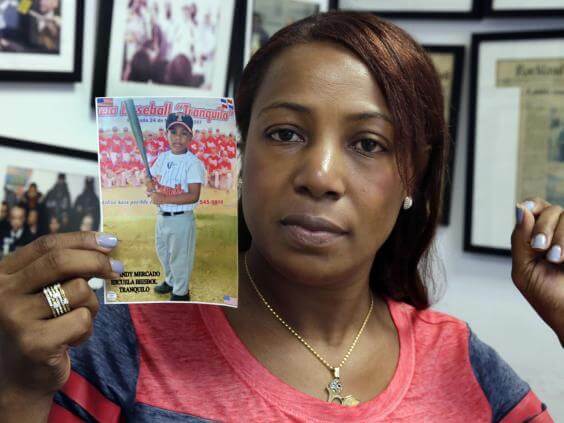 “Is this your son?” Ms. Martinez said she was asked, according to news reports on Thursday. The airline eventually found her son in Boston. JetBlue said it had put Andy on the wrong plane in a mix-up with another child who had also flown out of the Dominican Republic. Ms. Martinez had been on holiday with Andy in the Dominican Republic, but had to return to New York early. Her relatives took him to the airport in Santiago for his return flight. JetBlue is reviewing how the mix-up occurred. According to Ms Martinez, it took more than three hours for the airline to track down Andy in Boston. When it put her on the phone with him, he said, “Mami, they put me on another plane,” she told the newspaper. The airline put Andy on a flight to Kennedy Airport that same day, and JetBlue refunded Martinez $475 (£358) for Andy’s return ticket and also gave the family $2,100 (£1,583) in credit.